WICHITA, Kan. – Many memories are made each year at the National Baseball Congress (NBC) World Series in Wichita. The tournament got its start in 1934 when sporting goods salesman Raymond “Hap” Dumont convinced the City of Wichita to build a new stadium in order to host a national baseball tournament. It was a huge risk on his part, as similar tournaments had failed miserably on both coasts. But thanks in part to securing Satchel Paige – considered the greatest pitcher of the day – the first tournament, held in the new stadium near downtown Wichita, was an instant success. Paige struck out 60 batters and won four games, which is still memorable 82 years later. Since that first year, more than 800 NBC World Series players have gone on to play Major League Baseball, including greats like Satchel Paige, Mark McGwire, Barry Bonds, Chipper Jones, Tony Gwynn, Roger Clemens and Robin Ventura. That’s an average of 10 players each summer who come through Lawrence-Dumont Stadium and eventually play on baseball’s biggest stage. Lawrence-Dumont Stadium, a staple along the Arkansas River in downtown Wichita, is named after Hap and Charles S. Lawrence, Wichita’s mayor when the stadium was built, and still hosts the NBC tournament. It is also home to the Wichita Wingnuts baseball team of the American Association of Independent Baseball. This year’s tournament will continue the memory-making tradition. For the first time in tournament history, a team of former Major League Baseball stars, headlined by seven-time Cy Young winner and 11-time All-Star Roger Clemens, will take the field. The team is sponsored by the Kansas Star Casino and will be called the Kansas Stars. If they win the championship, they’ll donate the prize money to charity. The Stars are scheduled to play at 9:30 p.m. on Aug. 6, 7 p.m. on Aug. 8 and 7 p.m. on Aug. 10. They could play more games if they advance out of pool play. See the full roster here. Always memorable, the 27th annual Baseball ’Round the Clock presented by Coleman and KWCH, will be Friday, Aug. 5, through Sunday, Aug. 7. A small registration fee gives you a seat at each game and enters you in giveaways to win cash and prizes – if you successfully check-in for each game. T-shirts will be awarded to those participants who finish the 56 hours. Baseball &apos;Round the Clock participants can also participate in the Coleman Scavenger Hunt for a chance to win $500 cash. Sign up online by going to the NBC’s Facebook event page for Baseball ’Round the Clock. The first pitch of this year’s series is at 4:30 p.m. on Friday, July 29, at Lawrence-Dumont Stadium in downtown Wichita. The tournament runs for two weeks (July 29-Aug. 13) and will draw 30 teams of mostly college-age and amateur players from across the country to compete for a national championship. 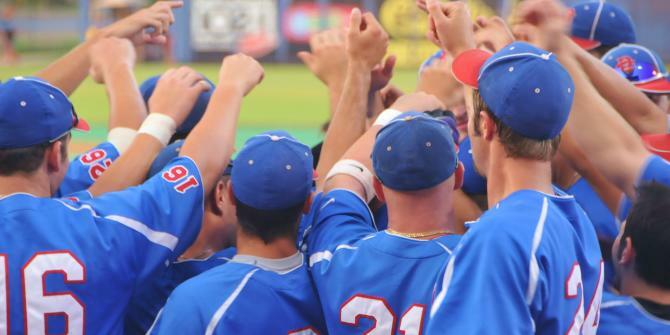 Another tournament first: teams will have a three-game guarantee as the 82nd NBC World Series is going from a double-elimination format to pool play. The new format puts an emphasis on strong pitching and makes the trip to Wichita more rewarding for the qualifying teams. For the fourth straight year, 30 teams will be playing for the coveted National Championship. The World Series will have 16 teams competing during the first week, with the top two teams qualifying for Championship Week. The format calls for four teams in four different pools with the top team from each pool advancing to a single-elimination game on Thursday, Aug. 4. Those two winners advance to Championship Week. Championship Week will have the same structure: four teams in four pools. However, the top two teams from each pool will advance to elimination games on Thursday, Aug. 11. Semifinals will be held Friday, Aug. 12, with the two remaining winners facing each other on Saturday, Aug. 13. Tickets for the National Baseball Congress World Series are on sale now and can be purchased here. There are promotions every night of the tournament, from family nights on Thursdays when fans receive a free hot dog and drink with regular-priced admission, to a youth jersey giveaway during the semifinals on Aug. 12. For more details, view the promotional schedule. The National Baseball Congress Hall of Fame’s inaugural class was selected and inducted during the 1991 NBC World Series. Among the first 12 inductees was Satchel Paige, who won the first NBC title with his pitching prowess and his Bismarck, North Dakota, Corwin-Churchill barnstorming, integrated ball club. Paige still holds the NBC record with 60 strikeouts in one tournament and a 4-0 record. This year’s inductees join a distinguished fraternity, including many household names and some known only to those who have followed the progress of the NBC.